If you're disabled from a chronic illness, accident or other disability, you may be eligible for Social Security disability. The bad thing about this is that to qualify, you typically can't be able to work which means no income or insurance benefits. And, likely, your disability necessitates medical care, therapy and medications you can't afford. The process of being approved for disability payments can take as little as a month (very unlikely) to as long as two years (more likely). Many applicants also experience roadblocks along the way, including denials, that can make the process take even longer. Chapter 7 bankruptcy can wipe out medical bills and other debts you've accumulated while waiting on your Social Security disability to be approved, but the timing of your petition filing is critically important. Today we'll look at some tips for how to protect your finances and get the best results from a bankruptcy filed after an extended battle to get benefits. Are you single? Do you have assets to protect? Do you have any income? If you're single and have no assets, your creditors won't be able to take much from you. The IRS can seize an income tax refund, but since you should have no tax debts, this shouldn't be much of a threat. If you have some sort of private disability benefit, typically this is exempt from collections by creditors except for the IRS. North Carolina isn't a garnishment-friendly state, so you're largely safe from any money you have coming in being accessible to your creditors. Are you expecting a large lump sum? How can this be protected in bankruptcy? If it's taken quite a while to get your disability approved, you may be slated to receive a large lump sum. This can be protected even if it's a substantial amount so long as you are careful about where you deposit the funds. It's best if you start a whole new bank account just for your disability payments and don't pay any bills out of it or deposit any funds that may be accessible to your creditors. To pay bills and expenses, withdraw money and move it to your other account. Do you have ongoing medical expenses while your disability review is underway? If you have ongoing expenses associated with your disability that will continue while you wait for your Social Security benefits to be approved, it's best to hold off on filing bankruptcy. If you are married, your spouse can be held liable for your medical bills because it is considered a joint debt. If this is your circumstance, both you and your spouse may receive collections calls and notices about your unpaid medical bills but, as mentioned above, NC doesn't allow most creditor garnishments. 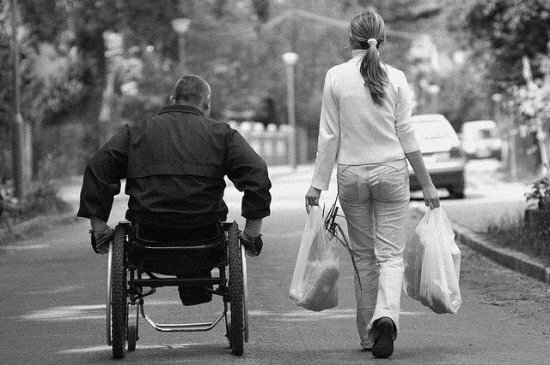 When should you file bankruptcy if you're dealing with disability? Because your Social Security disability payments are not going to be big bucks and you'll be on a fixed income from now on, it's best to get a clean slate once your disability is approved. Filing Chapter 7 bankruptcy after you get your Social Security approved will clear out all your unpaid medical bills, credit cards and other debts that you may have built up over the time from your accident, illness or disability-causing event. One thing to be careful of is if you get a lump sum payment and pay back any friends or relatives for personal loans prior to filing, the Trustee can seize this money. It's best to wait until after your bankruptcy discharge to pay back any personal debt. If you're not sure what's appropriate, ask your reputable North Carolina bankruptcy attorney during your bankruptcy consultation. Contact the law offices of John T Orcutt for an absolutely free consultation about your debt dilemma. We can advise you when is the best time to file bankruptcy to get the best benefits, protect your income and assets and make the most of your financial fresh start.